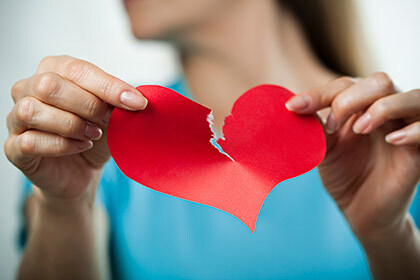 When a relationship breaks down, it can be extremely stressful for everyone involved. If the couple are married or civil partners, they have a formal legal relationship and will need to consider the options as to what to do. At Jackson Quinn we will guide you through the different ways of dealing with the situation, and advise you on what is the best option for you. The following information is based upon the assumption that you are in fact married or have formed a civil partnership as opposed to couples who co-habit. If you require information concerning co-habitation breakdown please click here. What should they do about the relationship itself? What will happen to any children? What will they do about money, assets and financial matters generally? The first thing to consider is whether the relationship is definitely over, for example, it may be appropriate to consider seeing a counsellor or attending mediation. At Jackson Quinn we are able to recommend reputable services that may assist. You are not obliged to do anything in terms of written agreements or court proceedings. It is possible just to agree to live apart and leave it at that. This will generally only work if there is a complete agreement on all matters such as the children, money, property etc. It does mean however that nothing has been formalised. If either party subsequently wanted to re-marry, divorce proceedings would have to be issued. Any agreements will also not be legally binding or enforceable, and could be broken at a later date. There might also be inheritance issues that would need to be considered. When separating it is always a good idea to make a will or revise an existing will. This is something that Jackson Quinn can assist you with. A separation agreement is a written contract between a married couple or civil partners. It does not involve any court proceedings but can be enforced by the Courts if either party tried to go back on the agreement, providing certain criteria are fulfilled. A separation agreement is a very flexible document which can cover any subject upon which the parties have reached an agreement. It is a personal document which can be adapted to fit the parties’ needs. At Jackson Quinn we have the expertise to draft any separation agreement to cater for your requirements. A judicial separation is what most people think of as a legal separation. It does involve Court proceedings. The parties have lived apart for 5 years. To obtain a divorce the person requesting the divorce (the Petitioner) must satisfy the Court that the marriage has irretrievably broken down. That the Petitioner and the Respondent have lived apart for at least 5 years. The law on dissolving a civil partnership is much the same for a divorce except the fact of adultery is not available. At Jackson Quinn we have a specialist family law team who are also members of the Law Society’s Children Panel, Family Law Panel, Advanced Family Law Panel and Resolution accredited. We also hold a contract with the Legal Aid Agency and you may be eligible for Legal Aid. With our wealth of experience and expertise, our family team will guide you through the pit falls and options available to you on separation and put this into action. Our aim is to make the process of separation as easy and painless as possible. We are committed to giving advice of the highest standard on all aspects of relationship breakdown.